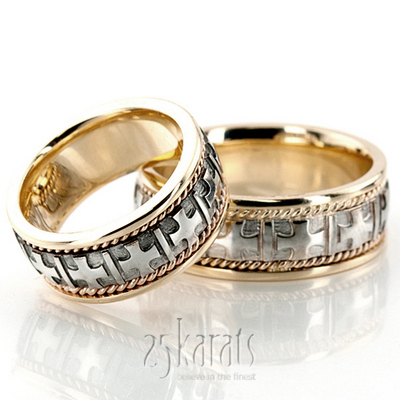 A masterpiece among religious wedding bands, this 8mm Two-tone Handmade wedding ring is a besteller for good reason! 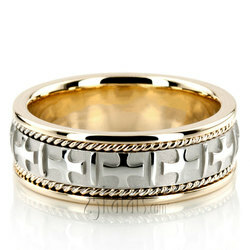 With the cross designs and small braids at each side, this band is a favorite of lovers of religious styles. This ring is high polished.